What you put into your mouth makes a difference. When we do not eat the right foods, like fruits and vegetables, we become deficient in vitamins or minerals. Our bodies react negatively when we put substances into our body that disrupt normal health functions. Chemicals and unnatural foods can cause health problems. These substances seem to be found in many processed foods. For example, partially hydrogenated fats (trans fatty acids) are used as preservatives. They help to keep foods on the shelves much longer then any food should last. These partially hydrogenated fats start out as a good natural plant derived oils. Hydrogen gas is bubbled through the oil, connecting itself to the oil molecules changing the molecule to an unnatural form, now a chemical. This is where the problem begins. When we eat this unnatural fat, this unnatural chemical tries to get into our cells from the blood stream. However, it can’t get across the membrane without, in many cases, getting stuck. This changes the normal configuration of these very delicate cellular structures. Knowing that trans fatty acids do just that, we need to look at the big picture ask just how they will affect our long term health. A few of the risks that we are taking by ingesting trans fatty acids are an increased chance of: heart attacks, strokes, cardiovascular disease, cancer, inflammatory conditions and autoimmune diseases! Some every day symptoms that eating trans fatty acids may cause are: headaches, joint pain and back pain, arthritis, asthma, skin problems, hot flashes, premenstrual syndrome and menstrual cramps. After looking in your kitchen you will find you have a lot of work to do. If you are ready, throw away all of the products in your kitchen that have partially hydrogenated oils. If you need to start off slow, finish the foods in your kitchen. Then, replace the chemically altered foods with products without chemicals. Eat organic foods whenever possible. A hint: Whole Foods Grocery Stores have done the work for you. They no longer sell products that contain partially hydrogenated oils. Other health food stores will be helpful as well. 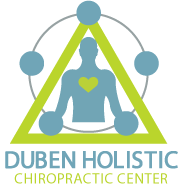 Call Dr. Duben & Dr. Erickson today at 805-468-4437 to schedule an appointment. Find out how our chiropractors can help you lead and a healthy life with a nutrition plan that works for you.